The pictograms we see around us, for public signs, at sports venues, on our computers, phones and tablets, all bear some trace of those first designed in the 1920s for Isotype (International System of Typographic Picture Education), a pioneering method of visual communication. Pictograms were crucial to Isotype, picturing things that could then be quantified and compared. They also gave Isotype a language-like consistency that served the organisation’s broader, educational aims. 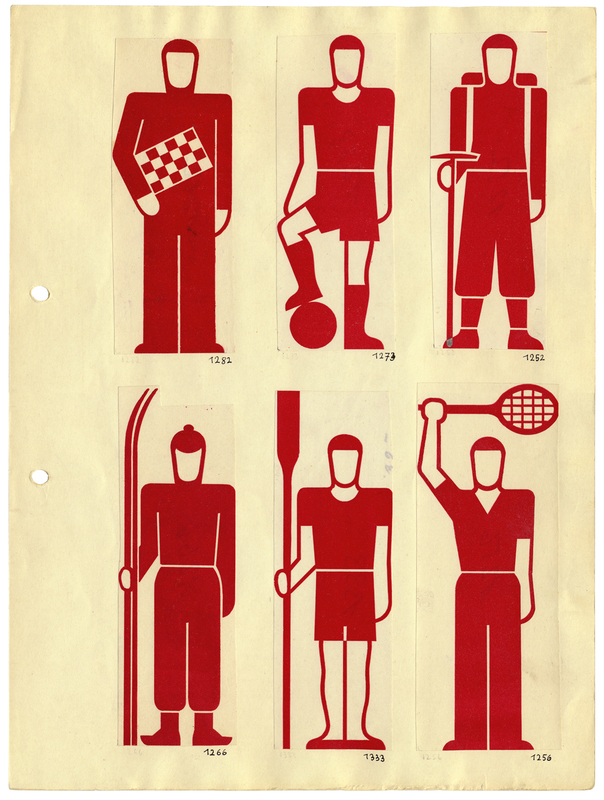 Those involved in Isotype – its founding figure, Otto Neurath; Marie Reidemeister (later Neurath); and Gerd Arntz – applied themselves to a wide variety of projects. Their varied visual solutions testify to Isotype’s versatility in showing social and economic relations and facts about health, history, technology and science. Isotype’s graphic language, now so recognisable, was also powerful and refined. But achieving all this was neither quick nor easy, and needed working out through trial and error. For Otto Neurath, Isotype could not be wholly theorised, only increasingly better articulated through work and experience. A selection of this work can be seen in ‘Isotype: International Picture Language’ at London’s Victoria & Albert Museum this winter. Beginning in 1920s Vienna, the display spans more than four decades of Isotype activity in Austria, Britain, the Netherlands, the Soviet Union, the United States and points further afield. 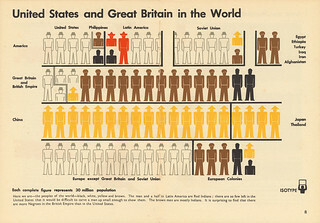 It samples Isotype’s many uses: for visual education in inter-war Vienna, pictorial statistics in Moscow, health campaigns in North America and ‘soft’ propaganda in wartime Britain. Isotype explanations of postwar planning, reconstruction and welfare are shown, as are educational books for children, and public information campaigns in 1950s West Africa. Artists’ prints and historical graphic matter indicate the wider influences shaping Isotype from the start. The exhibition is also an opportunity to encounter the particularity of Isotype. Original large charts from the 1930s are surprisingly three-dimensional in construction, and re-animate the disembodied flatness typical of Isotype reproductions. Books, posters, portfolios and pamphlets offer evidence of how, and in what form, work was first made, distributed and used. 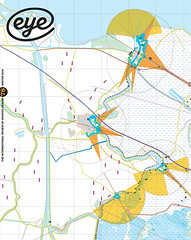 Working materials for print and moving image show the rougher edges of design and production. Apart from its continued relevance to the design of information, Isotype offers a fascinating case history of the Modern movement, one whose trajectory through time and under different national and cultural influences gave rise to work that was pragmatic, utopian and, above all, international. The current V&A exhibition revisits Isotype’s impressive range of interests, concerns and applications to consider afresh its scope and importance. Isotype founder Otto Neurath wrote his visual biography in the two years before his sudden death in 1945 but the manuscript has remained unpublished until this year. From Hieroglyphics to Isotype: A Visual Autobiography (just published by Hyphen Press) assembles the book from several edited drafts and provides many engaging insights into the origins of Isotype. Neurath’s intention was to show ‘the different sources from which Isotype has evolved’, and the five chapters are peppered with childhood recollections that are warm but rarely sentimental or self-indulgent. The newly published edition, edited by Matthew Eve and Christopher Burke, is illustrated by historical examples that span several centuries and styles: cave paintings; Mayan reliefs; Descartes’s Opera philosophica (1685); Berghaus’s Physikalischer Atlas (1845); the Illustrated London News; and diagrams and maps of military campaigns and battles. In his fifth and final chapter, which recounts his experiences with Isotype, Neurath discusses the ways in which different modes of information are experienced: books, for which a ‘reader has more time at his disposal and can look at a visual argument again, without much difficulty’; exhibitions, in which visitors ‘can stand around an exhibit and discuss it freely’; and films, in which the pacing of information is controlled by the producer. At the end of this chapter, Neurath returns to his earliest impressions, citing Samuel Smiles’s book Self-help as an important influence, quoting his observation that people ‘learn through the eye, rather than the ear; and whatever is seen in fact, makes a far deeper impression than anything that is read or heard […] especially […] in early youth’. First published in Eye no. 78 vol. 20.